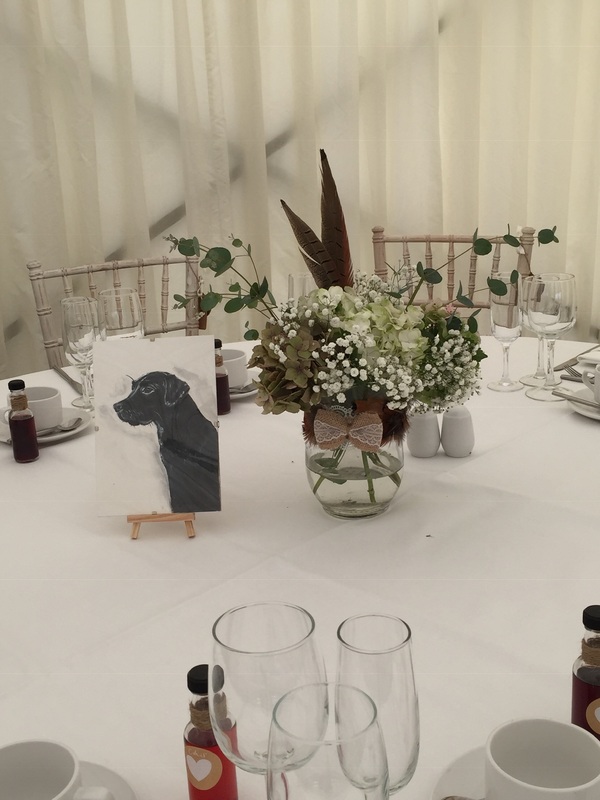 On Saturday 22nd September, we had the pleasure of catering for the wedding of Steph and Chris near Beaford. The couple married at Beaford church before heading less than a mile down the road for their reception in a marquee on the family farm. Unfortunately, the weather was not on their side, with unrelenting rain and gail force winds. However, this certainly did not dampen spirits, with the atmosphere in the marquee remaining high. 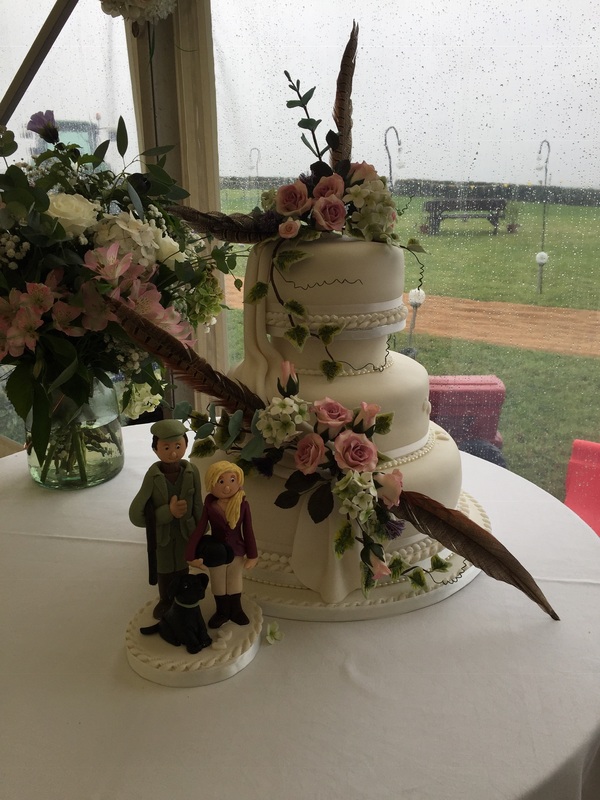 The couple decorated the marquee with a nod to their love for country pursuits evident from the pheasant feathers in the napkins and the horseshoe name tags to the motorbike and gun display in the entrance. 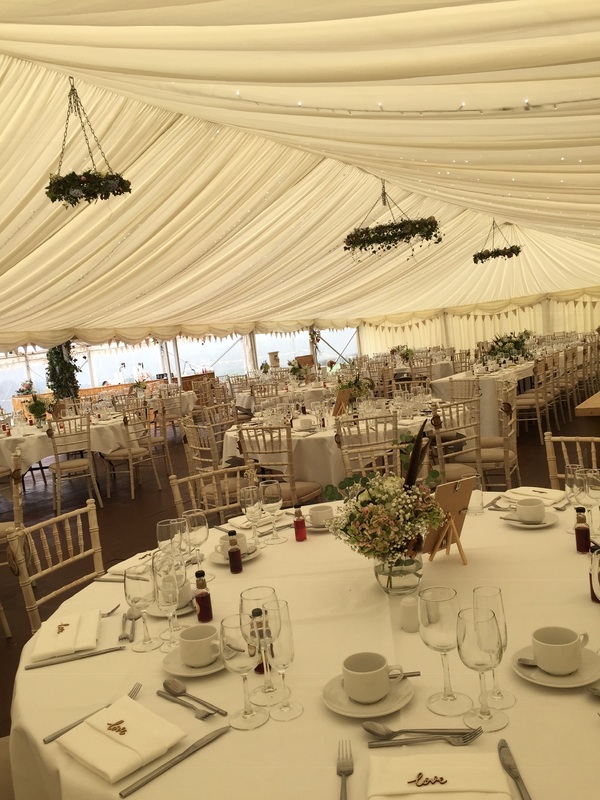 The marquee was laced with winding ivy and each table was adorned with flowers arranged by the family. Each table name was a country animal and these were depicted by these pretty little paintings. Even the wedding cake was decorated with the couples love for shooting in mind, with feathers included within the flower arrangements. 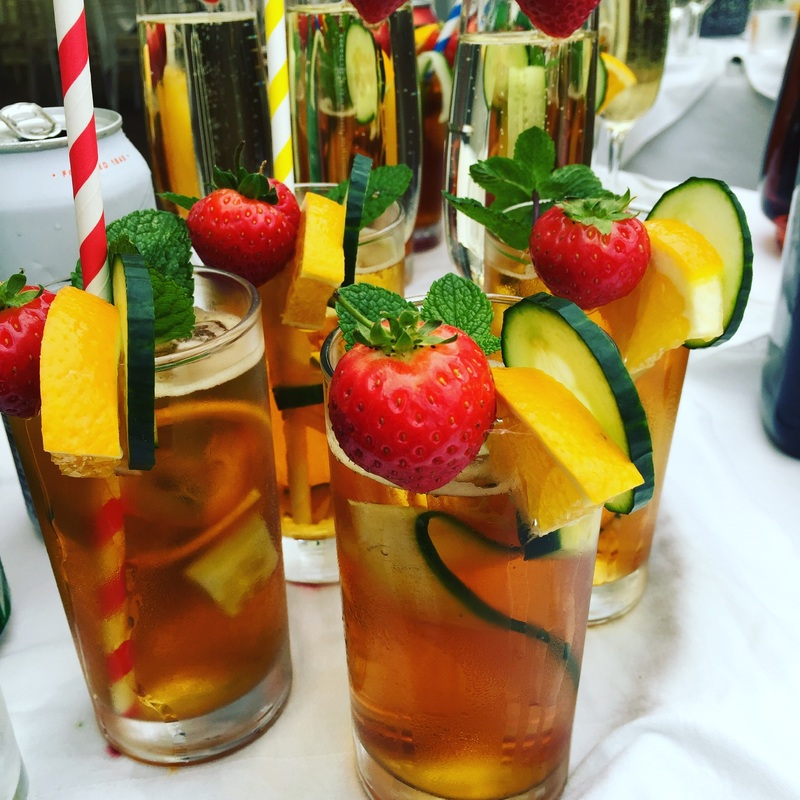 As the guests arrived, we greeted them with glasses of Pimm’s and lemonade, prosecco, beers and eldeflower presse. 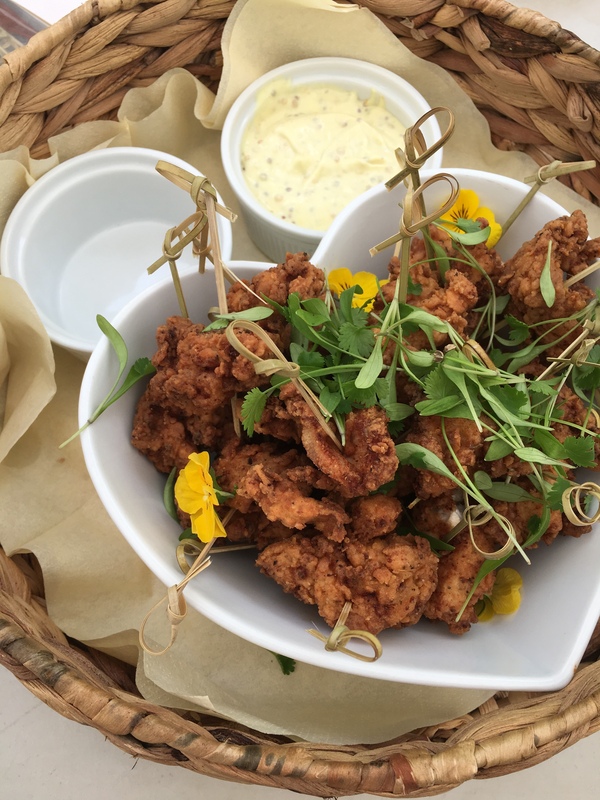 …and crispy chicken skewers with a mustard mayonnaise dip. 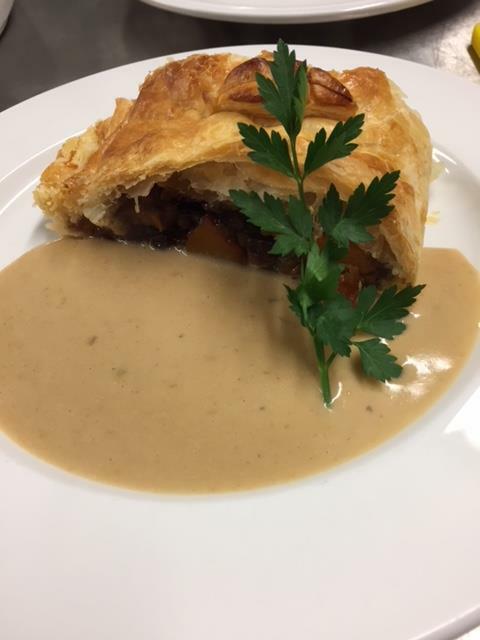 …chicken breast stuffed with wild mushrooms, wrapped in smoked bacon with a Madeira sauce and butternut squash, stilton and walnut wellington served with a brandy, cream and garlic sauce. 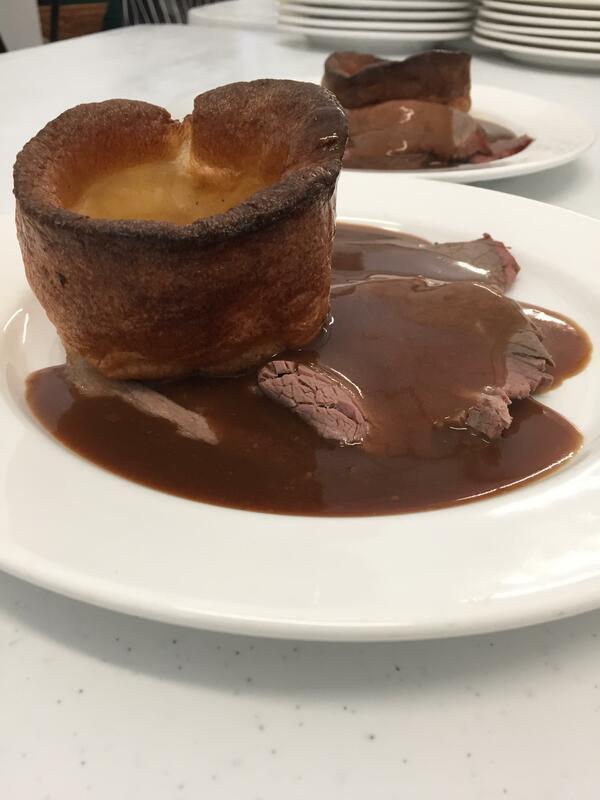 Guests could also help themselves to the dishes of crispy roast potatoes and panache of carrots, broccoli and green beans. 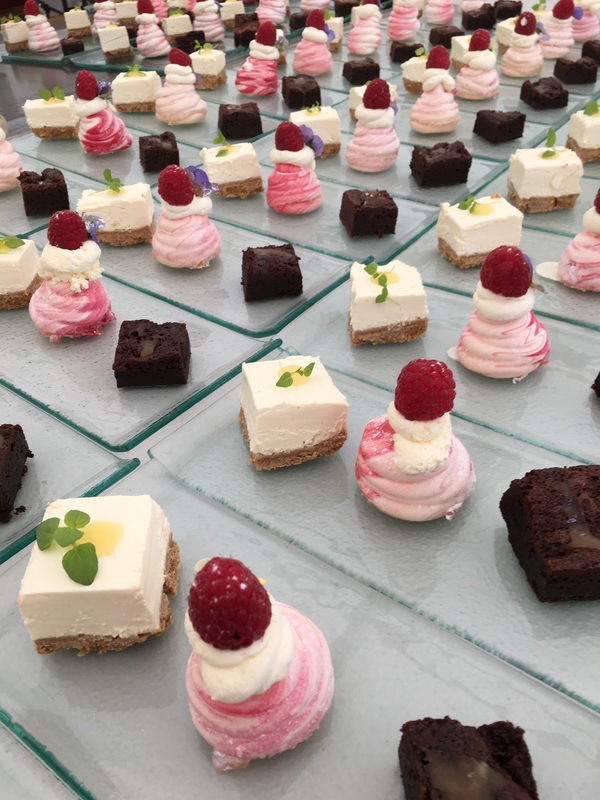 To follow, we served a trio of miniature desserts… baby raspberry pavlova, chocolate and salted caramel brownie and lemon cheesecake with lemon confit. We also made sure that everyone received a steaming cup of freshly brewed English breakfast tea or fresh filter coffee with a homemade chocolate truffle or mint. After a pouring everyone a glass of bubbling Prosecco, we left the guests to be entertained by the speeches. We cleared the tables ready for the arrival of the evening guests and the cutting of the wedding cake. As the night sky darkened, we served roast leg of pork with homemade sage and onion stuffing and apple sauce in a soft white or granary bread roll. Guests could also help themselves to classic creamy coleslaw, mixed dressed salad leaves with tomato and cucumber, and Mediterranean roasted vegetables with penne pasta. 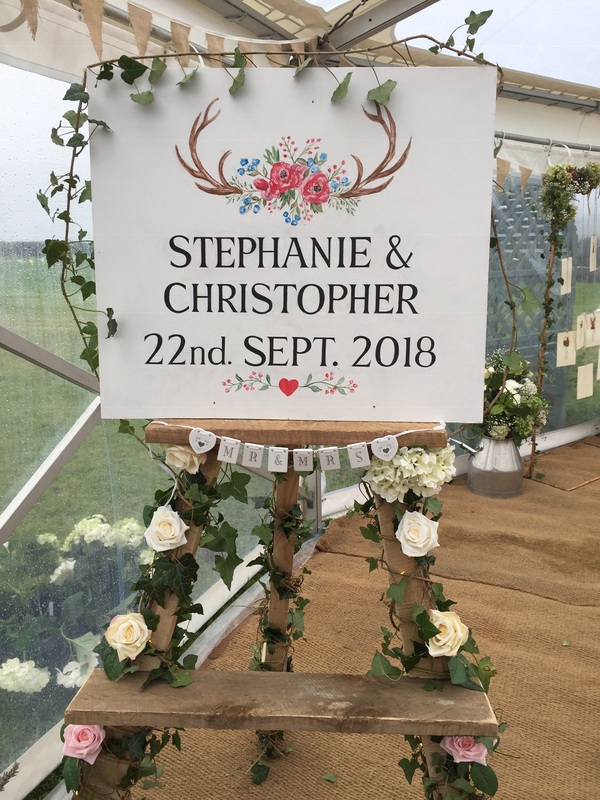 Thank you Steph and Chris for letting us share in your special day and many congratulations once again. 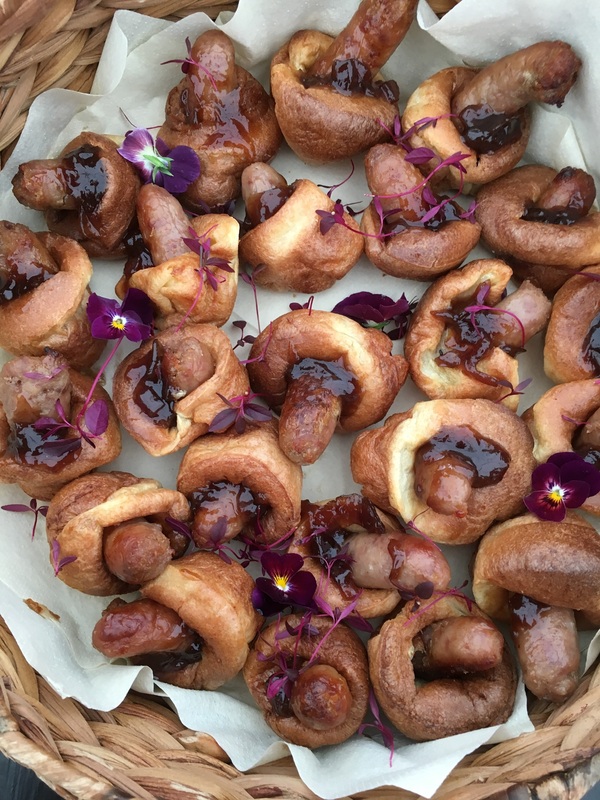 Dates are filling up fast for 2019, if you would like us to cater for your wedding, corporate event or function, please get in touch, we would love to hear from you.